It’s my favorite time of the year, Autumn is approaching. I love the colorful leaves, the nice breeze and all the amount of layers I’ll get to wear. 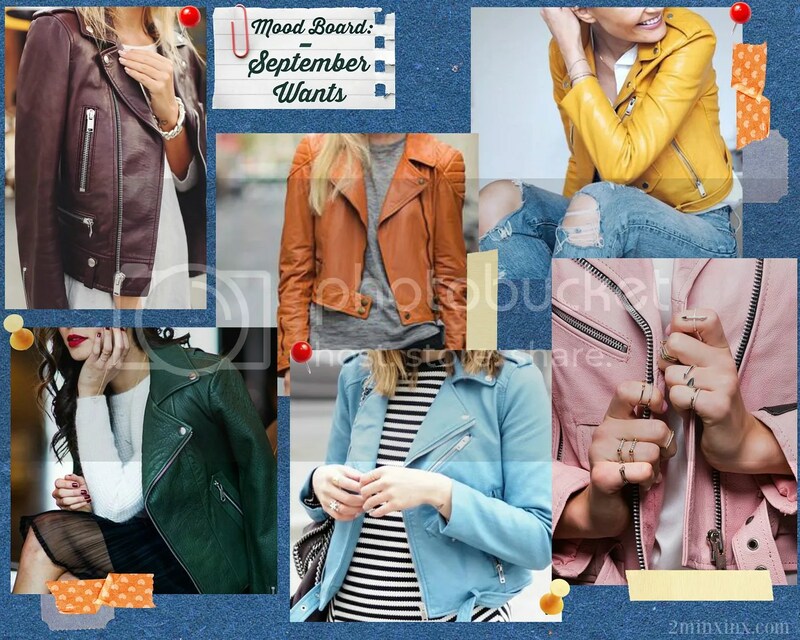 I think we can all agree that leather jackets are a must for fall, however for some reason, I’ve been in the mood to shy away from basic black. I gave myself one do-able, yet kinda difficult resolution this year. After working at an old job were I had to wear black from head to toe every shift, I kind got sick of it. I know black is everyone’s classic go to color, but I want to kick it up a notch. I’ve been tempted, kind of obsessed with going ham on my credit card, and just buying leathers in all kind of colors. Look how cute that yellow one is, it’ll go perfect with the new shade of brown I’ve dyed my hair. An auburn I’ve struggling to get just right. This fall I’m ready to get into rustic neutral tones. with just a pop of color. What are you guys excited for now that the chilly weather is getting here soon?